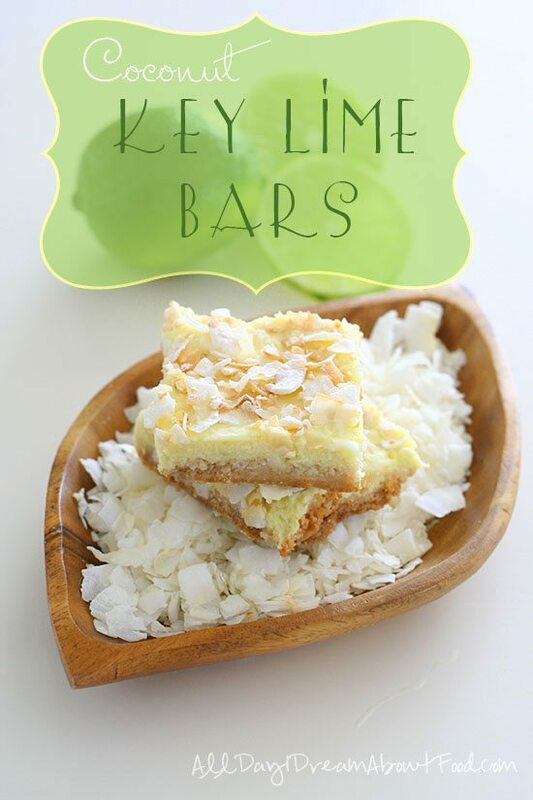 Tart low carb key lime bars made with coconut milk and coconut oil for a delicious tropical treat. Dairy-free and gluten-free. 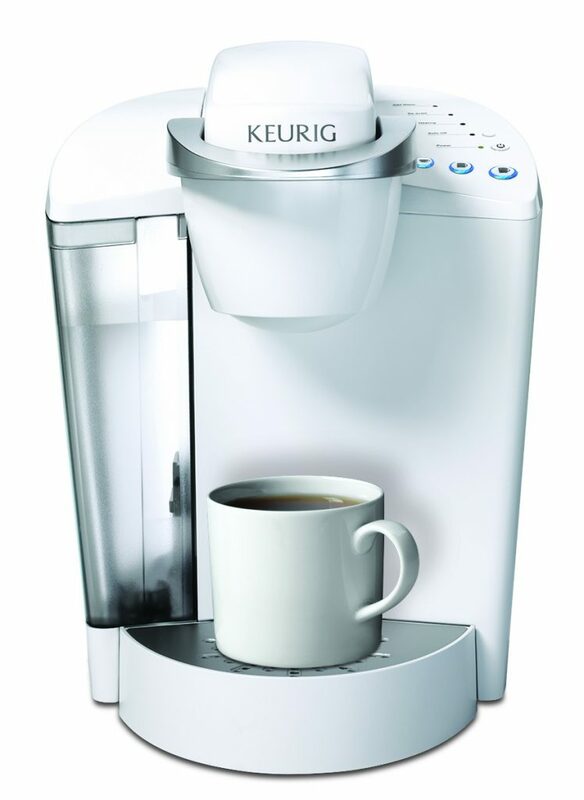 And a fantastic giveaway from Keurig Green Mountain coffee! Key limes are funny little things. They are so tiny and tart, and they are definitely harder to cook and bake with than conventional limes. At least, they are if you squeeze them by hand. It took me a whole bag to get enough juice to make some low carb key lime bars. So, ahem, you may have noticed that the limes in the photos for this recipe are the larger conventional Persian limes. Yeah, that’s because I had to use every little bit of those cute little key limes for the juice. But you know what? It’s totally worth it. They have that incredible tart-sweet flavour that whisks you away to the tropics at the first taste. Combine it with coconut and it doesn’t matter that you live in New England and there is still snow on the ground, you find yourself basking in a sunny warm glow. Keurig Green Mountain coffee also has a new limited edition seasonal flavour that has the same affect. I am typically not one for flavoured coffee, but their new Island Coconut is a tropical dream. It comes in both k-cups and ground coffee and it is available starting March 24th for a limited time to welcome in Spring. If you struggled with this miserable winter like I did, it’s a real treat to wake up in the morning and get a little taste of the tropics. And I have to be honest, if you drink a mug of Island Coconut while munching on a Key Lime Coconut Bar, you’re in tropical heaven. I was supposed to create a recipe WITH the coffee, but I like it so much, I’d rather drink it on its own. So I created a recipe that pairs well with it instead. And Keurig Green Mountain wants to give you the chance to win a Keurig one-cup coffee maker and some Island Coconut k-cups. 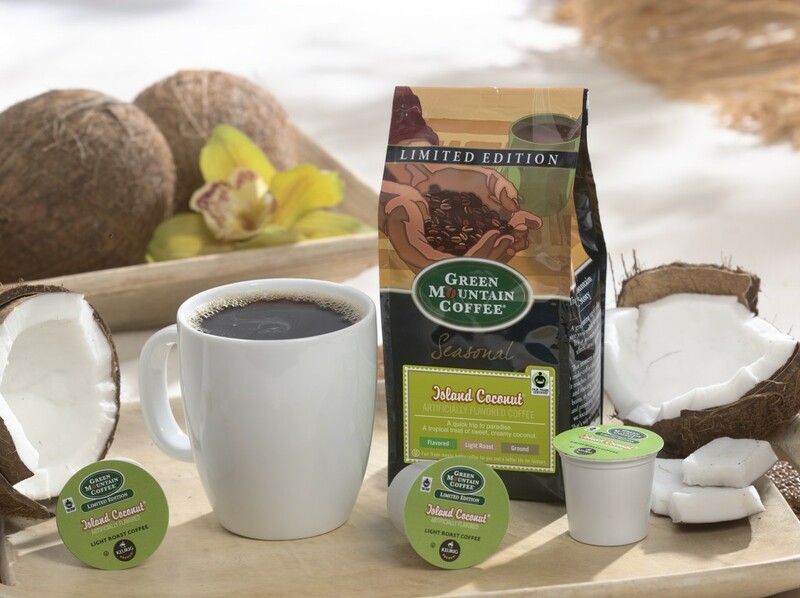 There are also 2 second-prizes of the bagged Island Coconut coffee, so get in there . This giveaway is being hosted by 10 New England/New York area bloggers and you have plenty of chances to win! These bars ended up being dairy-free almost by accident. I realized I was nearly out of whipping cream, but that I did have a can of coconut milk in my cupboard. Since I intended them to be a key lime coconut combo anyway, I figured it was the perfect solution. My original intention was to make some of my low carb condensed milk but instead I simply simmered the coconut milk with the sweetener for a little bit and then thickened it up with some xanthan gum. A little coconut oil in the base instead of butter allowed me to make them fully dairy-free and really enhanced the coconut flavour. And I will be honest, I really did eat these for breakfast a few times, along with a cup of my Island Coconut coffee. And for those few precious moments, I could close my eyes and pretend I was lying in a hammock strung between two coconut trees with a gentle breeze rustling by. Then my kids got up and it was back to reality. Ah well, a girl can dream, right? 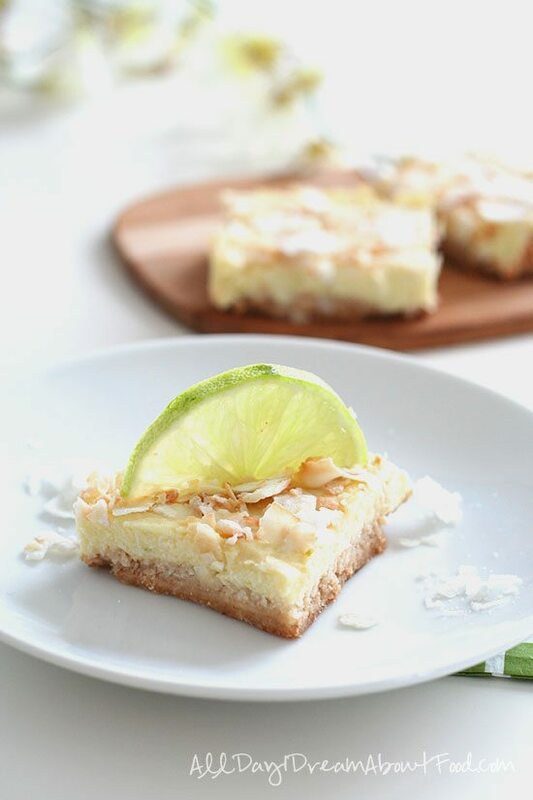 Tart low carb key lime bars made with coconut milk and coconut oil for a delicious tropical treat. Dairy-free, gluten-free and grain-free. For the crust, preheat oven to 325F. In an 8x8 inch square pan, combine almond flour, coconut flour, sweetener and salt. Stir to mix well. Drizzle with melted coconut oil and stir until well combined, then press firmly and evenly into the bottom of the pan. Bake 8 to 10 minutes, until just golden brown. Remove and let cool while preparing filling. 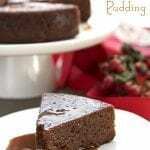 For the filling, combine coconut milk and powdered sweetener in a medium saucepan over medium heat. Bring to just a boil, stirring to dissolve sweetener. Sprinkle surface with xanthan gum and whisk vigorously to combine. Let cool at least 15 minutes. Stir in lime juice lime zest and eggs and pour over cooled crust. Bake 30 to 35 minutes, or until filling is just set but the very center jiggles slightly when shaken. Sprinkle with flaked coconut and powdered sweetener. Serves 16. Each serving has 6 g of carbs and 2 g of fiber. 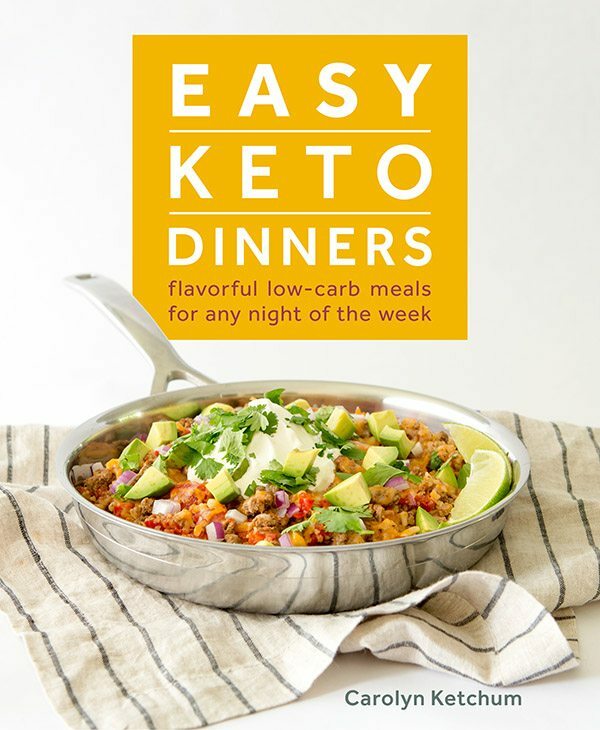 Total NET CARBS = 4 g.
161 Calories; 15g Fat (77.7% calories from fat); 3g Protein; 6g Carbohydrate; 2g Dietary Fiber; 27mg Cholesterol; 24mg Sodium. Ow, I want to make these!! One question: can I sub the coconut milk for unsweetend Almond milk or Heavy cream? You’d need about half of each to get the right consistency. Just almond milk would be too thin and just heavy cream would be too thick. I’ve never made anything with key limes but used to loooove key lime pie! Looks great. These look amazing! 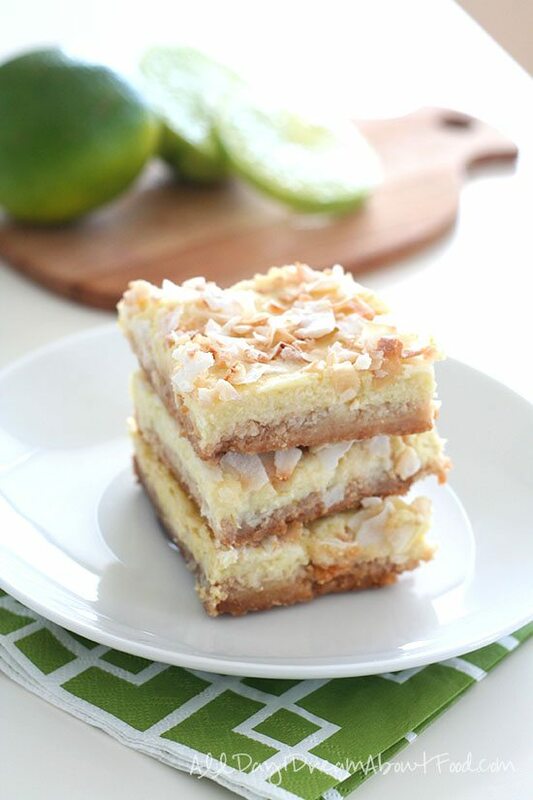 I’m a huge fan of anything lemon and lime in bar form…and then you went and added coconut. I’ll take two, please! My favorite thing about spring is seeing everything coming back to life. The trees, flowers etc. I cannot wait to try these, they look yummy. Can’t wait to try your new recipe! 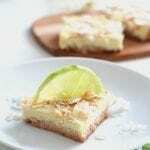 I love Key Lime and coconut and have been looking for an awesome sugar free version of Key Lime Bars. Thanks so much! My favorite thing about Spring is the sense of renewal, trees and plants are budding, my daffodils greet me every morning and when I come home from work. Hope. Oh my gosh, I LOVE key lime and so does my dad! I WILL be making these 😀 And looking for this coffee! My favorite thing about Spring is seeing the new buds on the tree and shrubs that have been bare for months. It is the promise of good things to come! OMG these sound absolutely incredible!! Can’t wait to try these…must get some key lumes ASAP!! My favorite thing about spring (other than the warming temps) is when the trees just start leafing out and the leaves are a variety of pale, shimmering green. My favorite thing about spring is everything blooming and the color returning. Love key lime. Love tropical. Love coconut. Love. Love. Love. These look great! My husband is not a fan of chocolate (can you believe such a thing?) so I am happy to find a low carb treat he will like! Ohhhh, congrats! and good luck! Man, this is a great give away. I certainly hope I am selected to get this Keurig machine, or just the green coffee would be fine too. Love your blog and your recipes. 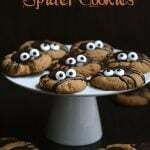 I am going to make these today!! My favorite thing about spring is the warming temperatures. It’s been a long winter! Wish there were more ways to enter for those not on facebook. More hours of daylight and sunshine!!! Favorite thing about Spring – the end of Winter. I love the new green of trees budding out especially willows. We love being able to get out and go for walks to the park. I cannot wait to try these! What a great welcome-to-spring treat! These look so good! I have no idea why, but I have a negative reaction to Swerve when I use it. Do you think I could sub xylitol or erythritol and still get a good result? Thanks for all you do! Sure. Xylitol would be fine. Swerve is mostly erythritol so if you have a reaction, I wouldn’t use that. I love your recipes and this one uses coconut milk . YAY!!! I am very ready for spring flowers and garden planting. I can’t wait to make these! I LOVE coconut! Spring just lifts my spirits, I love seeing the fresh new living things!! Would love to try this! Limes are awesome! My favorite thing about Spring has to be the beautiful flowers in bloom. These look so yummy. Perfect spring recipe. Love! Not sure what swerve sweetener is? Any substitution there? Thanks! It’s a low carb sweetener. Looks amazing! Heading to the store now for coconut milk! All the trees and flowers start blooming! My favorite thing about spring is being able to work the soil in my garden! Been a LONG winter here in MI! Aaaaahhhhh, spring! These look delicious and I have everything on hand! Yippee!! The best thing about spring is that the snow will be going away! I love the little pops of sunshine from the daffodils. I would love to win one…I would give it to my mom (shhh she wants one). Thanks for the giveaway. Good luck everyone. Can’t wait to make these! Fell in love with Key Lime Pie 13 years ago on my honeymoon in Key West. My favorite thing about spring is the longer days and the spring flowers! Love! These look so amazing! Perfect way to welcome spring. You are brilliant! Our lemon tree is just loaded right now — and fragrant citrus skin is one of my favorite things about Spring. I adore limes, but we’ve only got a new tiny tree (not yet planted) so I may have to make a substitution. Lemon bars are the BEST. Lime bars are even BETTER. And dairy free will make the vegans in my life happy – thanks! They do still have 2 eggs so aren’t totally vegan, just FYI. Green grass and blooming trees. Tulips – and opening the windows to air out the house!! Can’t wait for Spring or these bars. My yard work will have to wait until I get these made! woah, I might actually try this out, it looks pretty easy to make. And I can bring it to classss! I am pretty lucky as i get to experience spring like weather a good portion of the year as i live in . s. florida. but love to hear from my up north peeps about the trees and flowers blooming as i do miss the changes of the season. This sounds delicious!! This is going on my ‘gotta try it soon’ list! Thanks for hosting the giveaway! Would love to win a Keurig! Nothing says spring like key lime! Open windows and fresh air! Favorite thing about spring? Warm, sunny days and flowers. The bars with the coffee sound so good! I love Spring…living here in Florida, we do experience spring…new leaves, a different color of blue to the sky, Gardenias about to bloom. SPRING VACATION is pretty nice, too, even for a homeschooling mom! Those bars look delicious!! My favorite thing about spring is definitely the warm weather!! The weather change and the trees and plants in bloom ! Wow another amazing recipe for my to do list! I love springs, warmer days and cool nights(at least in California) and the Easter bunny of course! Believe it or not, I love Spring because I seem to get motivated to clean and purge. Such a good feeling. Love the coconut lime combination! Perfect for spring! Love Spring… the freshness of the air, being able to go back to walking outside and the spring flowers are awesome!!! Would love to win the Keurig Coffee Maker as I have always wanted one but still do not have one. Making one cup at a time is the best way to enjoy coffee – fresh each cup! Spring….when I can open up doors and windows without worrying about the flies I fight all summer. lol The bars sound wonderful…thanks! Love the new spring flowers and the freshness of the season. Looks AHHHHH-MAZING! LOVE spring…fav thing??? Taking my kiddo to the park, FLIP-FLOPS…PEDICURES & iced coffees… LOVE my Keurig & have about WORN IT OUT! Thank you for the chance to win a new one!!! My favorite thing about spring is the warmer weather! I can’t stand the cold, so all my workouts throughout the winter have been indoors. Finally, I can run outside again! I love it when the flowers start to come up and bud on the trees – so pretty after a long grey winter! This sounds delicious! Not heard of Swerve, could I use Agave instead? Favorite part of spring, I’d say the weather. Warm air, clear skies, everything is green and blooming. It’s a beautiful time of year! You really need a granulated sweetener for this. Agave would introduce too much liquid in the crust. It would probably work in the filling, though. The sunshine and a soft breeze! Gina Belle, You really should avoid agave – it’s been proven to be even worse than high fructose corn syrup. 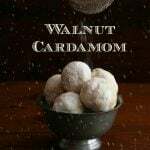 Carolyn, will regular cane sugar or coconut palm sugar work in this recipe, since they are granulated? Fave part of spring is opening my windows and listening to the sweet sound of wind chimes and bird calls. My favorite thing about spring is getting to “refresh” my yards after the freezing winter! Love the coconut coffee! My favorite thing about Spring is all the flowers blooming. Everything just smells cleaner too. Best parts of spring are being able to ditch the coat and having lengthier days! Looks delish! I have a 14oz can of coconut cream – 17g of fat per serving – five servings per can. Ingredients: coconut cream, water, .005% sodium metabisulfite (as preservative). Do you know if this would work for the 15oz full fat coconut milk? I’ve never used either. Thanks! Hmmm, I think it might be too thick. You may need to add some more water to get it to the right consistency. These look delicious. I love lime and coconut together. My favorite thing about spring is more daylight. My favorite part of spring is being able to wear flip flops and no coats! I enjoy the longer days! Gives me time to get out and take pictures. This recipe sounds really good. I love key limes, and these bars sound great. Just wish your Give Aways were more friendly to those of us who aren’t on facebook, for whatever reason. Is Rafflecopter owned by facebook? Hi Eric…no, Rafflecopter isn’t owned by FB. But most bloggers are on FB and so we tend to make those optional entries. But you do get 5 entries just for commenting…did you fill out that part? Going outside with my boys, hands down, outside!!! Gorgeous Key lime bars, Carolyn! My favorite thing about spring is the green sprouting up! I’m putting it on my list of recipes to try! My husband was just longing for Key Lime Pie tonight! Maybe I’ll make these for both of us. I’m not sure he’d like the coconut flavor, though. Well bother. I see you need powdered swerve. Will granular work? Can you powder the granular in a blender? Powdered Swerve is coming! I was told in the next few weeks. IN the meantime, people have said they had good luck in coffee grinders and magic bullets. Feel free to use cream in the filling. I’m obsessed with coconut.. looks amazing! Love the warm weather, the sunshine, the smell of the air! These look amazing. 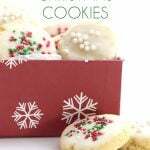 New to your blog – I’ll have to try these, I’ve been trying to expand my repertoire of paleo baked goods. 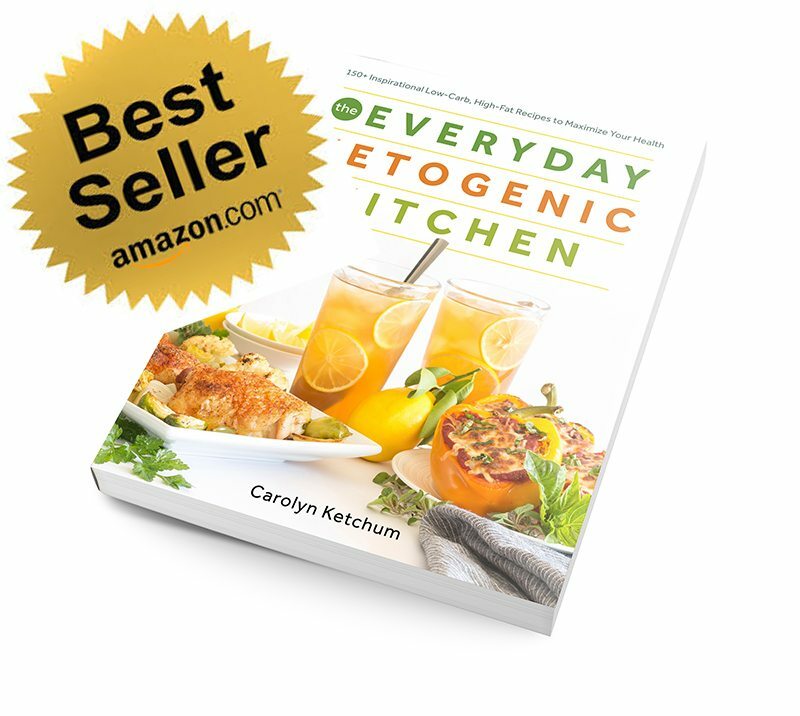 Carolyn- Do you have any of your own cookbooks for sale and if so how can I order them? I do not…yet. I’ve been planning one for a long time but finding the time to work on it has been very difficult. Love the bright flavors in these bars Carolyn – definitely a welcome treat after such a long winter! Love Key Lime ANY thing! Must. Try. To. Not. Eat. All. In. One. Sitting! My favorite thing about Spring is when the forsythia is in bloom! Totally true. Forsythia is always the first thing that blooms here! My favorite things about Spring are maxi dresses and flip flops! The best thing about spring is dusting my bike off, tuning it up, and taking a ride…then riding every day after that until it gets cold again. My husband loves key lime. Cool giveaway and my favorite thing about Spring of course is Harley riding. 🙂 Still snowing here though. My hubby loves key lime! Wish I had someone to cook all these wonderful recipes for me!! My favorite time of the year is spring with all the flowers blooming. Beautiful. Sounds like a recipe I’ll have to try! My favorite things about Spring are observing new life, warmer weather, and celebrating Easter with my family! Springtime happiness = daffodils, daisies, and open windows! Love the key lime and coconut combo! The Greenness coming back to the landscape. Hate the gray-brown ugliness at the end of winter. And Spring/Summer cocktails! Excited that I have everything to make this! My favorite thing about spring is warmer weather and a beach trip to Panama City Beach, FL! Gardening and key lime bars–what could be better!! Yum! What a perfect recipe for Spring! My favorite thing about Spring ? Losing the socks and getting out the sandals!! I am sorry, my software doesn’t calculate sugars. But you can enter the ingredients into My Fitness Pal or some other online calculator. Sounds wonderful I will be trying it! My favorite thing about Spring is hearing the birds chirping outside my window in the morning. And just seeing the SUN and flowers bloom. I love watching the pine trees show their pale green new growth. It is so lovely against the darker green of the older needles. Love the warm sun and fresh air of springtime, and eating Lime Bars!! I work at a garden center, so my favorite part of spring is definitely seeing all the bulbs come up, as well as getting back to work and seeing all my favorite customers. Oh yum and a half! This is such a springy dessert! I want!! These bars are awesome. I love anything key lime flavored and with coconut, this is a true winner! No more snow, sunshine, flowers and green everywhere!!!! The best part about spring is the return of Island Coconut coffee, and it will be great with these bars – can’t wait to make them! Now if only the Rafflecopter would work…. Hurray — now it’s working! The best part about spring is the beautiful trees start to bud, the crocus poke up through the ground with the tulips and the robins come back, then you know it is spring in these parts. I love the way these bars look. 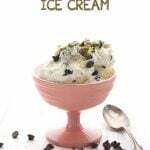 What a great spring dessert. Can’t wait to try them! Love Spring – time to get out and start walking again, gardening and GOLF! Spring??? Whats not to like. I love it all, well for the 2 weeks we have it here in Las Vegas. My favorite thing about spring is watching the yard wake up – bulbs planted last year poke up through the soil, roses that have been trimmed leaf out, fruit trees bloom, birds come back from their winter nesting places, butterflies begin to show up, the hummingbird feeder comes alive! I also LOVE the feeling you get as you realize that each day is a little longer, sunrise a little earlier, aspenglow a little later. Definitely an exciting, beautiful time of year! Can’t wait to try another of your GREAT recipes!!!!!!! My favorite spring thing is smelling the hyacinths! And just being outdoors is lovely too! Not having to wear layers of clothes is my favorite thing about Spring 🙂 I love anything key lime! Thanks for the great giveaway!! Spring, that great time of the year! Thoughts that turn to love, NOT, ok, maybe spring cleaning? NO. How about those Lime Coconut Bars with a cup of the Island Coconut Coffee? Can I get the servant to bring me some while I swing in the hammock? Carolyn, you are right, what a lovely way to start the day. Living in FL doesn’t make spring so important as elsewhere, but it does bring several days of nice temperate dry weather that makes us remember why we live in good ole sunny Florida! Enjoy the lime coconut bars and I’ll have my coffee over ice with cream. Now I’m in heaven! My favorite thing about spring is starting my veggie garden. The fresh breeze coming through my apartment. Wow – this Key Lime Bars look awesome! I am an absolute tropical fruit fanatic but being diabetic makes that difficult at the best of times. However, your bars have made my obsession very possible – thanks! And Spring – it is my favorite season of all. Everything is starting to get green and the flowers smell wonderful and the SNOW and ICE are gone – or will be soon since I leave in the frigid north where it can still snow in May! So your Key Lime bars and that fantastic Island coffee would do 2 things – help me deal with the end of winter and rush me into spring. Thanks very much Carolyn. My favorite thing about Spring is that it’s not Winter! Oh yes, some key lime bars and some coffee, maybe a frappacino. I absolutely love key lime. I cannot wait to try this!!! The best part of spring is when the baby cows are born. They run around like they were little cats and dogs. They don’t know they will soon be too big to be able to play like that. I love to watch them have so much fun. Spring is a beautiful time to see flowers.. Favorite thing about spring is being able to open the windows and let the breeze through. These look really good and can’t wait to try them. Thanks! I love the huge temperature fluctuation that lets you be super warm in the sunshine of the day, and still snuggle down in your blankets for the night. I love any lime and will give these bars a try. Just made lemon bars last week! Citrus just sounds so good right now! My FAVORITE thing about spring is all of the beautiful colors that are popping up all over the place. And I just love the fresh flavors of spring also- lime, lemon, asparagus…the list goes on and on! My mom LOVES key lime. She also LOVES good coffee! Oh m gosh, do these bars ever look good. Will definitely have to try them. Mangoes – but they are not low carb…maybe a recipe challenge/request Carolyn? And using Ataulfo/Champange mangoes. Flowers, grass and anything NOT white like snow! Sunshine and color! Making these bars soon, they look great. After this LONG winter…I love EVERYTHING about Spring!! Favorite thing about Spring is Spring Cleaning! I need to purge STUFF. And I love Key Lime Pie soooo (grew up in FL and now live in MN). I’m going to go make these right now!!! lemon is spring…hello? yes! love the flavor and color. its like the new apple a day rule. 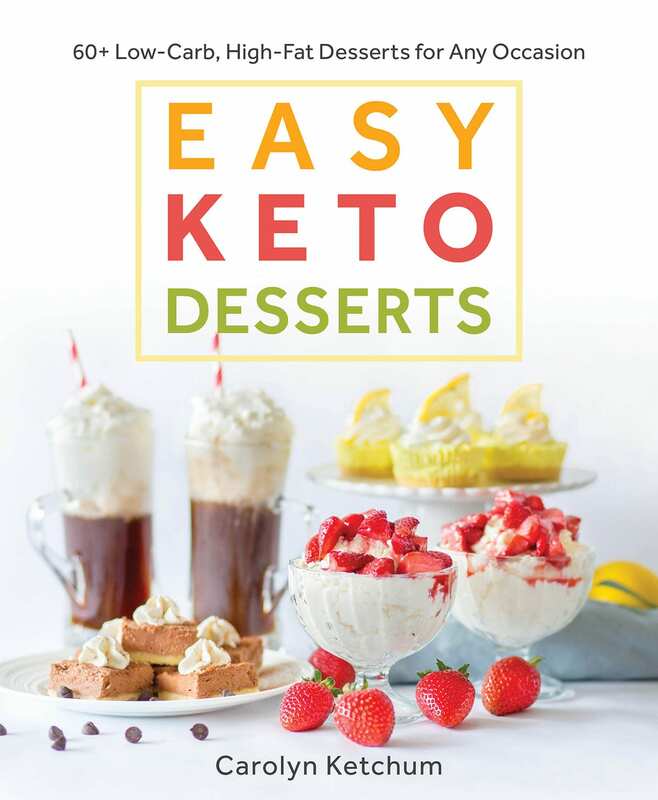 These key lime bars look delicious, can’t wait to try. Thanks! My favorite thing about spring? All the flowers that pop out and the warm temps! Looking forward to tasting these. They are currently cooling in the refrigerator. I love every recipe of yours that I have tried. Thanks so much! Carolyn- do you have any of your own cookbooks for sale? Love your blog. I love when everything greens up and flowers start blooming. Also love the warmer temperatures. All the beautiful shades of green as the trees get new leaves, and the grass and flowers start to grow! Clear sidewalks for running, and not having to bundle up to go outside. Can’t wait to try these! I love all of the fresh green colors of spring. 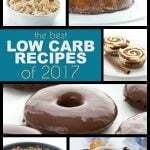 Just found your blog while looking for new low-carb resources. Can’t wait to read more! Longer days, and seeing bulbs bursting out of the ground makes me so happy. Oh my word!!!! Key Lime Coconut Bars and a cup of coffee made in my new Keurig coffee maker (I am winning by the way! )….what a combination!!!! Oh…I forgot to state my favorite thing about spring!!!! I love all the flowers that are blooming…my daffodils starting blooming during one of our late snows…and the birds singing!!!! All this new birth…but none equals the new birth found in our Lord…and we celebrate Easter in the spring…the new life He gives us is the BEST!!!! The warmer air and the delightful smells of spring. Love key lime! Looking forward to trying these. the beautiful weather and flowers! My favorite thing about spring would have to be just getting outside in the warmer temperatures (not too hot and not too cold) and nice days. Whether it is reading under a tree, taking a stroll through the woods, or having a picnic, the weather just screams relaxation. the weather for sure!! The vit D fromt he sun gets me out of my seasonal depression and on my way to spending more time outside. If SPRING ever makes an appearance in the Northeast this year, my favorite thing is all the trees and flowers blooming – I love my lilac bushes! The smell of fresh flowers and green grass. Being able to have my garden veggies! I love open windows and the sounds of mowing grass and birds singing! 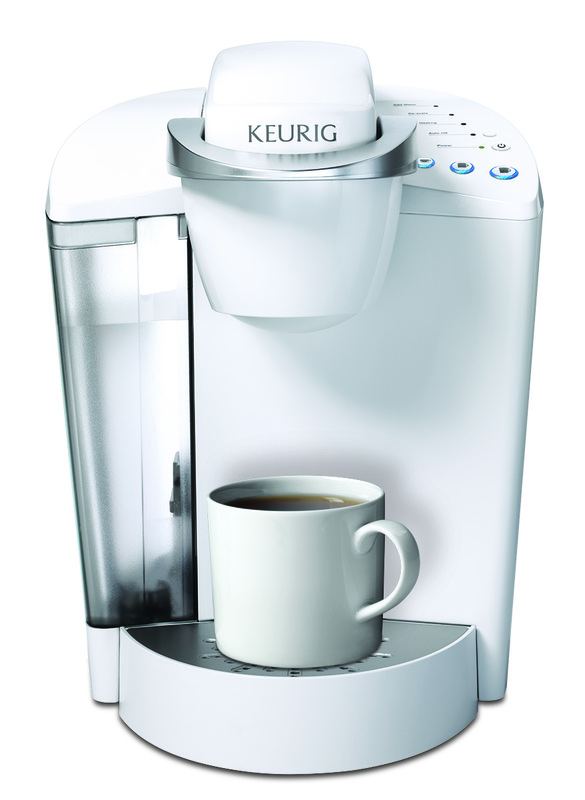 Would love to win the Keurig for my work office!!! Cant wait for Spring- the smell of flowers, clothes on the line, and fresh cut grass! Hope it comes soon! I love the weather! Not too cold & not too hot!! Love all your recipes too! The changing weather for sure! These look divine. I cannot wait to try them. Just need to pick up more Swerve! I bet these bars will taste even better with a nice cup of coffee! I love everything about spring but my favorite thing would have to be planning/planting the garden! Those look fantastic! I’ll be making those very soon! Fun, fun, fun and more fun in the sun! 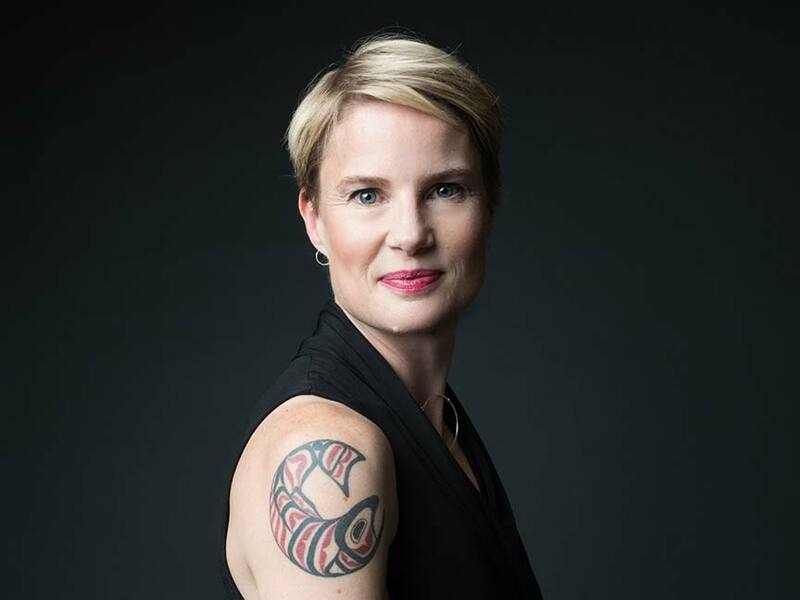 Thank you for all the work you do here – I love, love, love your recipes! 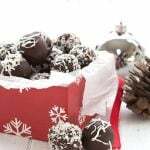 Usually I am all about the chocolate recipes…but this one looks awesome! And my favorite thing about spring? Everything! YUM! My husband loves Key Lime Pie! I’m sure he’ll be excited about these! My favorite thing about Spring is when the March Lilies start blooming. Being outdoors again now that it’s warmer! Seeing the sun, and not a sky full of clouds. That’s my #1 favorite thing about summer. Though a close second would be getting to plant my garden. my favorite thing about spring is the transition from the winter season to summer, bulbs are coming up, veggies are being planted, playing outside and enjoying the things around us. Favorite thing about spring is gardening! My favorite thing about spring is when the rain stops. I love to see the flowers blooming and feel the sun on my face! I love me some key lime! And bars. And deliciousness. Wish me luck, and thank you for this giveaway opportunity!!! I wish you the BEST of luck in this journey, Sierra. So glad my recipes can help! The warmer weather and beautiful flowers blooming! Made them yesterday, toning down the sweetener cause i only had regular limes. They’re a keeper! Delicious. Thank you so much. These look like the perfect summer treat! EVERYTHING!!! warm weather, everything turning green, flowers, gardening, sunshine! Those look great! Can’t wait for spring! Favorite thing is being back outdoors more in the warm weather it has been so crazy bitter cold here in MN can not wait to feel the sun. This year has been a very long cold and snowy winter. This year my favorite thing about spring will be the snow is finally gone!! Also love the longer days of sunlight! Favorite thing about spring? Warmer weather!! Except for today…when it’s snowing….again…in Maryland. Yuck! I made these over the weekend. They were amazing. THANKS for such amazing recipes. My new favorite spring activity – a key lime bar, and a cup of coffee on the deck watching the river……. My favorite thing about spring are the flowers starting to bloom and of course the warmer weather! I love seeing the flowers popping out in the garden soil, and taking my bunny out for a long overdue outdoors brushing! Seasons sort of mix together here in the south. But I would have to say seeing all the wildflowers blooming on the side of the road or in fields. Most common are Bluebonnets and Indian Paintbrushes. Okay, I am totally giving these a try…and thankfully I am the only one in the house who loves coconut – so they are all MIIIIIIINEEEE! Thank you for all the wonderful things you come up with!! I plan on making these this weekend. I am also going to make a lemon version because my neighbor (who is gluten and lactose intolerant) was given some home grown lemons that she shared with me. I live in Florida, so the weather is beautiful here. Cool mornings and evenings with warm days! 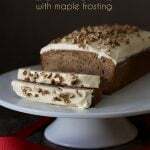 Love the recipe and would love to win the Keurig!! I love hearing the birds sing and chirp and twitter! It sounds like they’re all excited that it’s spring again! These look so yummy I love lime! Spring is warmer weather & growth & greenness all around! Help! 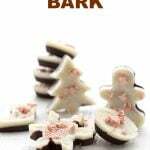 I tried making these, but it went all wrong! when I added the lime juice and eggs to the cooled coconut milk it got all streaky and “curdled” (it looked curdled even though there was no milk in it), and gloppy. Any thoughts as to what I did wrong? I followed the recipe exactly. Could it not have cooled enough? Could the xantham gum not have dissolved enough? It looked fine before adding the lime juice… any thoughts are appreciated. Not sure but it does sound like maybe it wasn’t cooled enough and your eggs curdled. I love lime and these bars look amazing! Actually, several people have said they made them and they turned out well (some of those comments may have been on Facebook, though). I haven’t worked with convection ovens much, but it might be the problem, not sure. I did have a problem with this recipe though. First my crust didn’t want to brown at all. It was in the oven for 20 minutes and I just pulled it out because it was twice as long as your directions. Then I cooked the whole recipe in the oven, following all your directions. It looked just about perfect. I chilled it for two hours but found that my crust had turned to mush…any ideas about what I did wrong? Thanks for all your hard work and delicious recipes. You make a world of difference to those of us who are diabetic and gluten free. I have a dark pan, so it may have baked faster than yours. this is good feedback, I think in the end, your crust didn’t bake long enough but I can’t pinpoint why. Thanks, I am going to take another shot at them. I have to say….even though they were mush, they still tasted wonderful. ;). I’d say go by your gut. Since I can’t pinpoint what the problem is, bake the crust until it seems mostly done, however long it takes. Then add the topping and bake again. My friend is allergic to corn, soy, milk and gluten. I thought these would be perfect, but researched the xanthan gum and found its made from soy and corn. 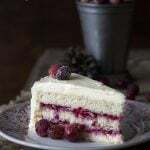 Could I substitute the xanthan gum with guar gum? Have you ever worked with guar gum? Yes, go ahead and use guar gum, I sometimes use that too. I bought a key lime tree from the sad and neglected table in the nursery section at Walmart last fall for $2.00. It bloomed all winter and I had to pollinate it with a small artists brush, being of course I have no bees living in my house. It now has 17 limes on it with tons of blossoms still coming. I was able to put it outside today for the first time after this endless winter we’ve had. Cannot wait to make this recipe !!! Thank you. Wow! Enjoy those little limes! I had to bake the crust about ten minutes longer than written but waited till it turned golden (I had foil-lined my pan) I too had a “curdling” problem when adding the lime juice and eggs. I had waited 20 minutes after boiling, but next time I’ll wait longer or pour it from the saucepan into a cool bowl to cool down. Hoping they will bake OK anyway! Also, to juice all those little limes, I quartered or halved them and used my garlic press! Hmmm, strange about the curdling. It didn’t happen to me at all. Love the idea for juicing those little limes! They baked up fine, though the top is still pretty soft. I’ll bake them longer next time. 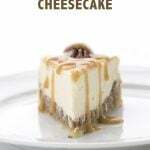 I’m enjoying one right now and thinking this would make a pretty good key lime pie! I made these yesterday. They were fantastic. The crust took a little longer, however I was using a glass pan. I also only had one lime so I added lemon juice. They were a big hit with everyone at the party, even the non low carb folks. I had no problems with filling curdling or separating, but it took me longer then I expected to get the gum completely mixed in. Thanks for the great recipe. Wow!!! Holy yum. With snow all around me I could TOTALLY go for one of these bars!! Coconut + key lime = HEAVEN!! Pinned! Thank goodness these delectable bars are dairy free. I can eat as much as I want. Thanks for sharing the recipe. Hi. What can I use instead of the coconut oil in the base? Butter? Thanks. Ok, just tried this out. Used a pyrex 8×8 pan and baked the crust for ~18mins to get it golden brown. The filling appeared to curdle a bit when the lime juice was added but didn’t seem to be a big deal. I baked it all for ~38mins at 325. It set up fine and tastes good. The crust is sort of soft but is fine. I just made these and they are perfect!! I don’t understand the varieties of limes so I might be asking what seems to be a silly question. Will any kind of lime do? I have limes but not sure what kind. You’d know if you had key limes, they are tiny and round. But yes, any kind of lime would okay. HELP PLEASE! 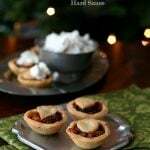 I just made these tonight, followed the recipe exactly but they have come out with the base being totally soggy. The layer on top is set but it’s absorbed into the base too so it’s not crunchy like a biscuit base and it’s all soft and falling apart. I really love the crunchy texture of a biscuit base what did I do wrong!? Any suggestion on how I can stop this happening in the future Carolyn? Sounds like maybe you used too much coconut oil. And did you bake it before adding the topping?